6 Birth caravan, high standards, all amenities on site. 10 minutes fantasy island, ideal location to the beach only 2 minutes away. 5 minutes to the nearest fishing lake at lakeside leisure. Pubs and restaurants within walking distance. At Stevensons Golden Sands you are close to many attractions including Butlins, Fantasy Island, Hardys Animal Farm, Eastgate Market, Ingoldmells and Skegness. The bus stop outside Stevensons Golden Sands takes you direct to many of these attractions. There is a small number of amenities on the site itself with a number of extra amenities within walking distance of the caravan park. 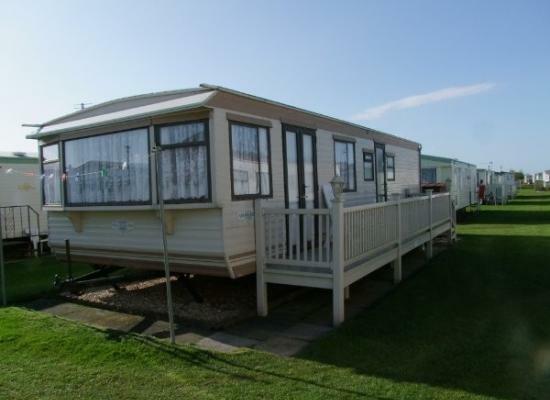 The private holiday homes shown offer holiday accommodation at Stevensons Golden Sands for families and couples wanting a holiday in Ingoldmells. As they are privately owned static caravans they often come with many extra's not found in caravans booked direct with the holiday park.